Halloween Candy Buy Back at Emergency Dental Care USA on Nov. 1, 2012. We collected 280 pounds of candy for Offutt Air Force Base troops and Operation Gratitude. 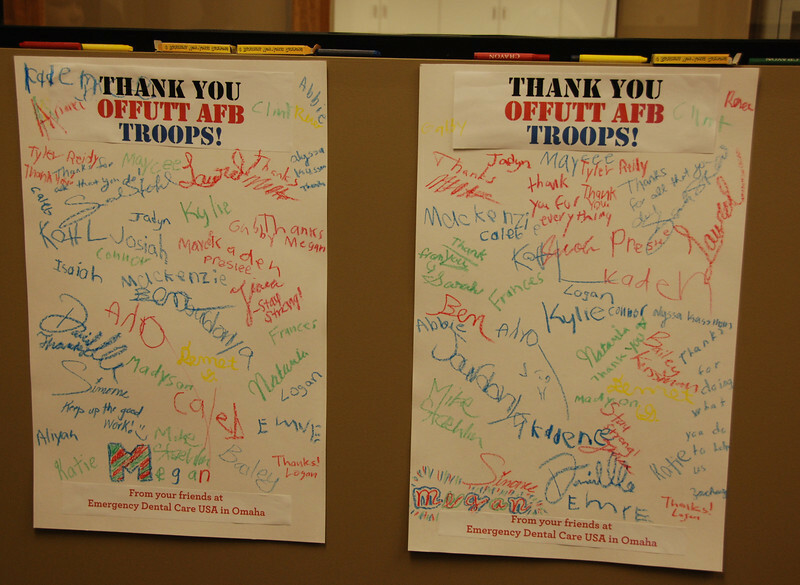 We partnered with Offutt Air Force Base to send candy to units in Afghanistan. We had everyone sign cards for the units. Here's the final result.